Last week, the Bombay High Court had lifted the ban slapped by food regulators on nine variants of Maggi noodles in India in June while asking Nestle to go in for fresh tests. 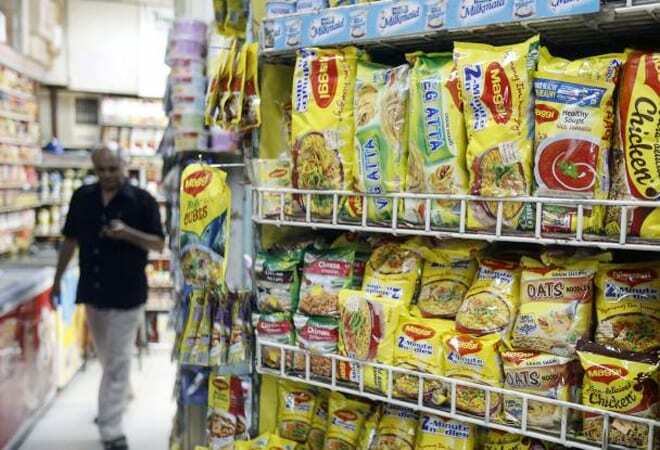 After getting a reprieve from the Bombay High Court on Maggi ban, Nestle India has said it is confident of defending the Rs 640-crore class action suit filed by the government against it before NCDRC. "... we are confident of defending ourselves when called upon to do so," a company spokesperson said in an e-mailed response. He said the company was disappointed with the "unprecedented step of filing of a complaint before the National Consumer Disputes Redressal Commission (NCDRC) against Nestle India". When asked if Nestle India plans a counter suit against the government, the spokesperson said: "We will study the issue when we receive the formal details." He said based on media reports, the complaint by the government "makes similar allegations which were made to ban the product on June 5, 2015. These issues were awaiting judgement by the Hon'ble Bombay High Court." On the other hand, the Consumer Affairs Ministry filed a class action suit against Nestle India seeking about Rs 640 crore in damages for alleged unfair trade practices, false labelling and misleading advertisements. Reiterating that Nestle India remains committed to working with FSSAI, FDA Maharashtra and other stakeholders, he said: "We hope that this issue will be resolved soon." On the company's preparedness to bring back Maggi in the market, he said: "The process of bringing Maggi noodles back on the shelves is lengthy and complex. It requires alignment with several stakeholders, including our suppliers, distributors and retailers, among others, as well as our continuous engagement with the authorities." He further said that the Maggi noodles business, which is an important part of Nestle India "is currently at a standstill". "It is Nestle India's endeavour to get Maggi noodles back on the shelves as soon as possible for the benefit of our consumers," the spokesperson said. In June, central food safety regulator FSSAI had banned Maggi noodles, saying it was "unsafe and hazardous" for consumption and the company also withdrew the product from the market.